Listen to the full Rockingham County Superior Court hearing Monday on a temporary restraining motion below. Introduction: Hearing on the motion for a temporary restraining order in Seacoast Newspapers Inc. v. Union Leader Corp. and the Concord Monitor March 25 in Rockingham County Superior Court. This portion introduces Judge Andrew Schulman and the attorneys representing the Union Leader, and the Seacoast Newspapers. See below for the full hearing. Main hearing on the motion for a temporary restraining order in Seacoast Newspapers Inc. v. Union Leader Corp. and the Concord Monitor March 25. 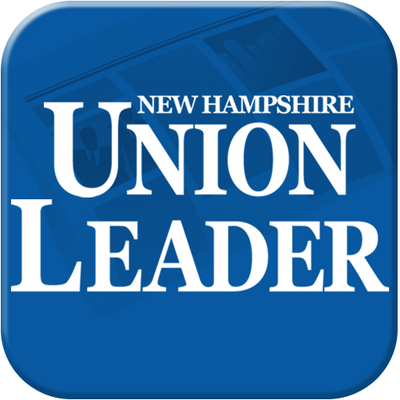 The Union Leader began to fall behind in its payments soon after entering into the contract in April of 2013, after closing its own press operations in Manchester, according to court records. Seacoast Newspapers alleges breach of contract and undue enrichment against the Union Leader and tortious interference with contract relations against the Concord Monitor. In the Union Leader’s opposition to the temporary restraining order, attorney Gregory Sullivan wrote that between Feb. 21, 2018, and Feb. 21, 2019, Seacoast failed to produce an industry standards product to the Union Leader on 41 different occasions. Seacoast’s attorney Craig Nolan argued in court they were small errors that were worked out during twice-weekly meetings. Nolan told the court that all Seacoast wanted for now was an order that would keep the Dover plant open while it looks for replacement business. Judge Andrew Schulman said at the hearing that as a child he toured the New York Times building and got to see the old Linotype machines, taking note of the changes in news business. “It’s somewhat sad, not to digress,” Schulman said at the hearing on Monday. Schulman denied Seacoast’s motion for an emergency restraining order to force the Union Leader to finish out the contract. Seacoast failed to prove an emergency order was necessary to avoid irreparable harm, he said, and the company has other remedies. Schulman said Seacoast would likely have been forced to close the plant anyway on July 2, the end of the contract, since there are no customers waiting in the wings to print newspapers. “(Seacoast) has a hope, not an expectancy of attracting new business in a declining industry (i.e. newsprint. ),” Schulman said in his order. “Seacoast plainly has an adequate remedy of law for the alleged breach of contract. If it prevails it will receive its full expectancy damages plus interest and contractual attorney fees,” Schulman wrote. In January, the Concord Monitor’s sister publication, the Valley News, which is also owned by Newspapers of New England, closed its printing press in Lebanon and moved its printing to the Concord Monitor’s new press in Penacook. In making the announcement, the Valley News said it was to save money and help generate revenue by printing other newspapers in northern New England. “The more than $4 million investment in the new printing plant, which company executives say will increase the range of offerings while lowering its production cost, is a contrarian bet on the future of a medium that has seen its financial underpinnings collapse because of the internet and smartphones,” the Valley News reported. Schulman encouraged the Union Leader and Seacoast Newspapers Inc. to talk to each other outside the courtroom. “I will allow the case to proceed, but I would encourage the parties to try and work things out because I think that (Seacoast Newspapers) have shown a reasonable likelihood of prevailing on the merits of the breach of contract claim. I think you guys should talk, OK,” Schulman said at the end of the hearing on Monday. Seacoast’s executive editor Howard Altschiller declined comment and Union Leader publisher Joe McQuaid didn’t respond to an email request for comment.